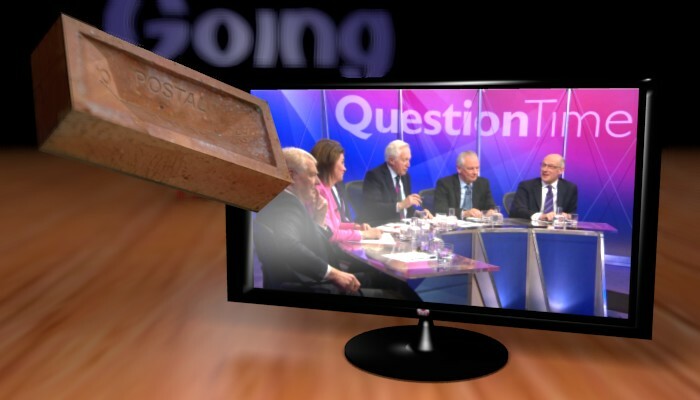 David Dimbleby presents a special edition of Question Time from Birmingham – Britain after Brexit. On the panel are secretary of state for exiting the EU David Davis, shadow secretary of state for exiting the EU Sir Keir Starmer, former deputy prime minister Nick Clegg, former first minister of Scotland Alex Salmond, deputy chair of Ukip Suzanne Evans and Times columnist Melanie Phillips. Press briefing with Sean Spicer 5.30 pm. ACT 2 SCENE 6 FELIX’s Encampment in the Hills above Delirium. Enter FELIX, VISCUS and Soldiers.